Based in the scenic surroundings of Darley Abbey Mills and overlooking age old structures and the beauty of Daley Park, our Ladies Gym in Derby is a gym built specifically to help you tone your body, lose weight and improve your overall fitness. The gym has been completely modernised, with some of the latest and greatest equipment, without losing the splendid look and overall pleasing effects of the structure in which it is based. Our primary focus, as a leading fitness provider, is to make the experience personal, enjoyable, and suit your own preferences. We fully appreciate the diversity of personal exercise routines, and have organised the gym in a way in which will suit all. And so, if working out on your own, to your own goals, is something you appreciate, then our gym will certainly impress. If, on the other hand, you prefer the company of others, in a like-minded pursuit of fitness and well-being, then you’ll also find yourself at home. When it comes to getting fit and the methods involved, the whole process can feel a little overwhelming. There is a vast amount of information out there, from do-it-yourself guides to web videos and personal trainers. Getting started can feel a challenge in itself. We understand how the confusion can affect those vital first steps, and offer a solution that is built – entirely – to suit you. There is no need to worry about a step-by-step approach designed by somebody you’ve never heard of – simply show up, at a time that suits you, and get started. Getting into shape, and feeling better about yourself, is something that shouldn’t involve frustration. Being comfortable and relaxed is key to a successful workout and results. Perfection comes in a way that you intend it to – it is the end result of your targets. By having an atmosphere and an environment in which you can concentrate and relax is what makes those targets all the more easy to reach, and what – ultimately – makes perfection an easy objective to achieve. There’s a wealth of reasons why you should join listed below. Of course, there is one reason above all else – and that is to get yourself fit and healthy. By offering our services, we can guarantee to make that dream a reality. You’ll be working out in an environment that is completely ladies only. Whether working out alone, or as a group, you’ll only encounter like-minded ladies who have the same goals and objectives as yourself. With over 200 pieces of the latest exercise hardware, from bikes to rowing machines and chest presses, there is something to suit everybody, and something to work on any individual muscle group. 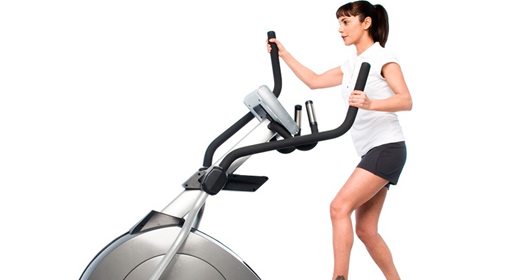 The gym is completely air conditioned, meets exceptionally high safety standards, and is cleaned several times a day. The area is very spacious and made to meet all regulations. Stay connected with friends and family, or keep up to date with the many fitness apps available with a completely free Wi-Fi connection. At the Ladies Gym Derby, many free classes take place each week. Of course, you’re not expected to participate if you do not wish, but joining our free classes can be exceptionally good for getting you into a routine that will work exceptionally well with your future workouts. Being open 24/7 allows you absolute freedom on when you intend to workout, no matter what your working day may entail, or how hectic your lifestyle. The Ladies Gym Derby has a fully kitted out changing room, with locker storage facilities, and an on-site shower room. Personal training is available on site, either by contacting a member of our team, or by using your own trainer. All members of Ladies Gym Derby receive exclusive access to the members area of our website. Here you can find discounted offers for the gym and other health and fitness related services, work-out guides and tutorials, along with nutritional guides and downloaded booklets. Upon your first visit to Ladies Gym Derby, you can expect to have a complete induction – a full guide of the gym and how to operate the mass amount of equipment, along with an exercise induction to get you started. We take everything in your own stride, and listen intently to what you wish to achieve over a time frame that suits you the best. At the Ladies Gym in Derby, we have gone out of our way to study exactly what a women’s-only gym should look like, and how it should function. By choosing a pleasant environment, with exceptional views on all sides of the building, along with state of the art equipment and an unbeatable, friendly atmosphere, we believe that we have covered all angles in ensuring that your workout is both enjoyable and as relaxed as you wish it to be. When it comes to getting fitter and healthier, there really is no time like the present. We understand how difficult that first step can be, and have done everything possible to make it an easy first move. By coming to see us, and having a completely free induction, you can decide for yourself whether or not the Ladies Gym Derby is for you – personally, we think you’ll be very impressed.